Ty Dolla Sign and Jeremih debuted their new single ‘The Light‘ yesterday (June 8) which is the first taste off their upcoming joint album MihTy. 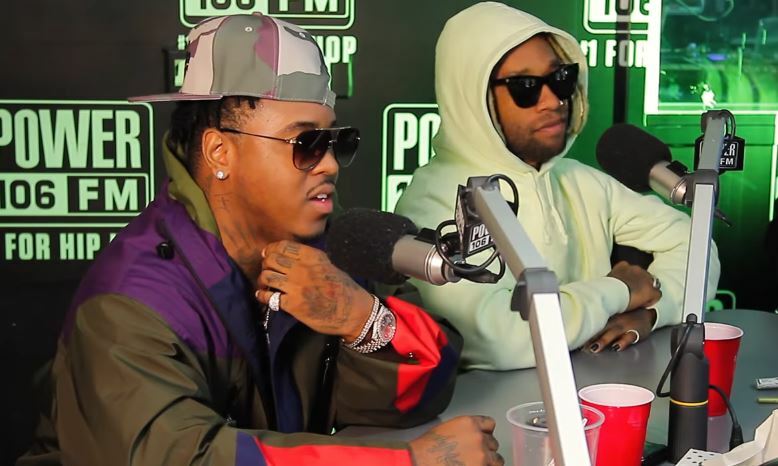 Earlier today (June 9), the two singers stopped by Power 106 station in L.A. to talk about the single, the project, working with Kanye West and more. In the beginning of the interview, Ty hinted that although their label wants to put out the album this month, they might push it back to July because of heavy traffic from other albums releasing in June. Ty and Jeremih then reveal that Chris Brown, French Montana and Lil Wayne are set to appear on the project which will have a little more than 10 songs, all produced by Hitmaka aka Yung Berg. The two named Jodeci, R. Kelly and Donell Jones as some of the inspirations for the album which will have a cool “summer” vibe to it. Watch the chat below.